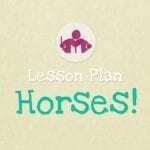 Our Horses Lesson Plan is the next in our series and we have lots of horsey fun in store with this very popular theme. If you’re looking for more themes check out the rest of the plans here. This lesson works well for any age from 1 – 5 years. Younger ones particularly enjoy the movement and knee bobbing, just omit the rhythm game and they might need a bit more help (with holding the coconuts etc.) Older children will find it easier to grasp the rhythm work and they’ll really love the imaginative movement and exploring the different tempos. This is a particularly lively lesson which always goes down well with anyone under 5 years! Its main focus is understanding and recognising contrasting tempos which is illustrated by the rhythm of horses hooves, walking, trotting and galloping. 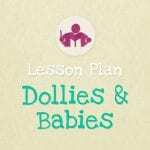 This music lesson plan is 10 pages long, including 5 printables which have been made with quavers, minims and crotchets for a European version, and with eighth notes, quarter notes and half notes for a US version to avoid any confusion. These plans are not intended to read as a script, as everyone will have their own teaching style. More, I hope that they will provide you with in-depth guidance for a number of related activities that I have found in my years of teaching to be particularly effective and engaging combinations. 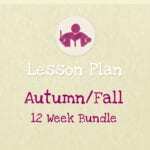 To buy and download the horses lesson plan, use the buttons below.